MWC 2018: SONY launches Xperia XZ2 and XZ2 Compact smartphones. 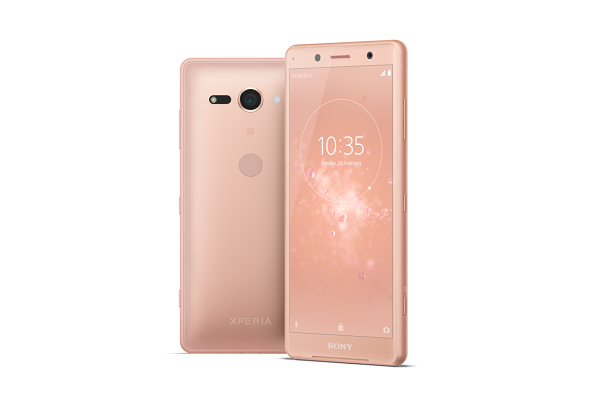 Sony Mobile Communications today announced two new smartphones to headline its flagship range, Xperia XZ2 and Xperia XZ2 Compact. Both smartphones feature Qualcomm Snapdragon 845 Mobile Platform designed to deliver superior experiences and performance with Gigabit LTE download speeds to satisfy the most demanding technology enthusiasts. Sony's flagship Xperia XZ2 has an extended 5.7" HDR Full HD+ 18:9 display, built with Corning Gorilla Glass 5. Plus not only can you watch existing HDR content, using Sony's BRAVIA TV technology, X-reality for mobile, it will up-convert content to near High Dynamic Range (HDR) so even when you're streaming videos you get better quality playback that feels like a movie experience. Powered by the Qualcomm Snapdragon 845 Mobile Platform with X20 LTE, XZ2 will provide immersive user experiences at lightning-fast connection speeds (up to 1.2Gbps) with the second generation Gigabit LTE solution. For example you can get an episode of a TV series in just 20 seconds with super-fast downloading. With a large 3180mAh battery, XZ2 offers worry free all day usage. 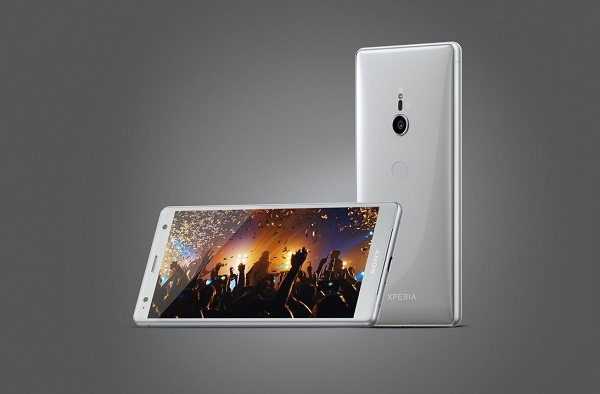 Xperia's useful battery features are also included such as Smart Stamina, STAMINA mode, plus Battery Care and Qnovo Adaptive Charging technology which help the battery stay healthy to give you a longer battery lifespan. For effortless charging you can also use the wireless charging dock (WCH20), and other compatible Qi chargers, by simply placing your XZ2 on the dock to power up without the need to plug in. The XZ2 incorporates a new haptic experience, adding the perceptual sense of touch so you can feel your viewing experience. It uses Sony's brand new Dynamic Vibration System which analyses audio data and lets you feel the action in your hands, bringing your movies, games and videos to life. Motion Eye camera is pushed to the extreme and gets a ground-breaking upgrade with the world's 1st 4K HDR Movie recording in a smartphone. You can now capture reality with incredible contrast, detail and true to life colour and share or upload to a compatible HDR TV or YouTube to view your content back in lifelike realism. Super slow motion video recording is also upgraded with 960fps now possible in Full HD to make your wow moments even more fascinating. Motion Eye camera brings you all the great still photography features you expect from Xperia with its intelligent control features such as Predictive Capture with motion and smile detection, Autofocus burst and Predictive Autofocus. For a truly unique and exciting way to capture memories 3D Creator application is now available with even greater flexibility for 3D scanning. Not only can you create 3D scans of objects or friend's faces in less than a minute using the main camera, you can also now create 3D scans of yourself using the front camera - bringing to life your selfie in 3D and giving you endless opportunities in the 3D avatar world. Post-processing is now available to achieve even greater quality of 3D scans. Plus once you've finished your 3D scan or selfie, you can now post directly to your Facebook timeline within 3D Creator. Sony's delivers big screen entertainment in the palm of your hand with its 5" HDR Full HD+ extended display, making it the world's most compact 5" smartphone. It also has a multitude of premium updates found in its big brother XZ2, such as all of the Motion Eye2018 upgrades including 3D Creator for selfie and Full HD Super slow motion as well as its premium still image capture. It's also packed with Sony's audio enhancing technologies such as Hi-Res Audio and front facing stereo speakers for your ultimate entertainment. This smartphone is all powered by the latest, fastest ever, Qualcomm Snapdragon 845 Mobile Platform. The XZ2 Compact has the same design philosophy as XZ2 with its beautiful curved body that gives you the best comfort in your hand. Durability is ensured with a tough exterior including Corning Gorilla Glass 5, anti-scratch hard-grade polycarbonate, IP65/IP68 and metal frame. It is finished in four beautiful colours with a smooth frosted finish; White Silver, Black, Moss Green and Coral Pink. Sony's Xperia XZ2 and XZ2 Compact are available globally from March 2018 both will ship with Android 8.0 Oreo.